Larry Bull of Washburn returned to Aroostook County in 2006 after spending much of his life in Phoenix, Arizona. Not long after he arrived in The County, Bull realized that he had literally gone, as he said, “from full speed ahead to kicking back, relaxing and enjoying life.” He now spends much of his days visiting with friends and contributing to his community. Bull’s family is native to Aroostook County but moved to Phoenix in 1967 when he was a child, seeking a warmer climate for his mother, Ruth Bull, who had asthma and emphysema. His father, Perlin Bull, worked for the city for 20 years before starting a charter bus company — Paradise Valley Bus Leasing. The business was a family-run venture. Bull’s mother was a bus driver and worked in the office, while Bull himself also served as a driver. Through his work Bull drove travellers all over Arizona, Texas, Nevada and New Mexico. He had the chance to see numerous state and national parks, including the Grand Canyon. Eventually, Bull left the business and worked as a mechanic at various truck stops along the interstate in Arizona. At age 46 he realized that he “needed a change” and decided to move back to Aroostook County. Bull has also strived to give back to the community that has welcomed him home. 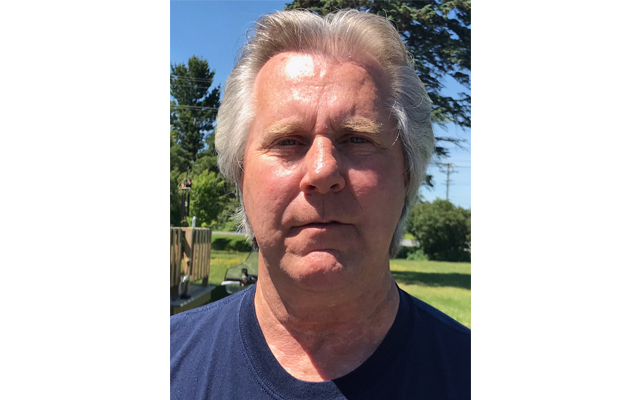 For seven years he was a member of the Washburn Rotary Club and has been part of the Northern Maine Antique Tractor Club, the Easton ATV Club and the Washburn Snowmobile Club. He is currently serving his second term of office as a member of the Washburn Town Council. Since retiring a few years ago, Bull has taken every opportunity to spend time with his parents and friends and enjoy the simple pleasures of life. “The people up here were so welcoming to me when I moved here that I want to give back to them,” Bull said. Even though he has been to many other states and towns, Bull thinks that no place is quite like Aroostook County. The slow-paced lifestyle and deep friendships have helped him understand what is most important to him.